First we have the stock Academy kit. 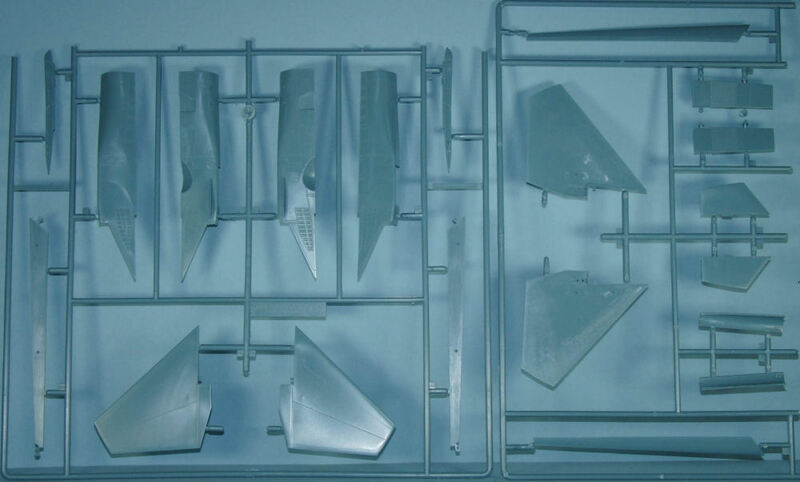 The kit is molded in blue-gray styrene and presented on six parts trees (counting the upper and lower fuselage halves as a tree each) plus one tree of clear parts. 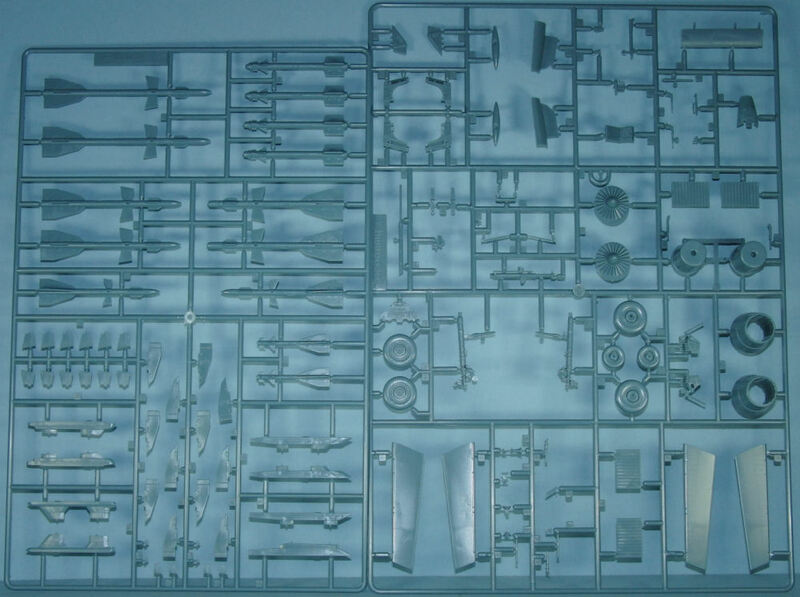 Overall, the kit is a simple build and while the exterior detailing is good, the cockpit, wheel wells, and armament leave a little to be desired. 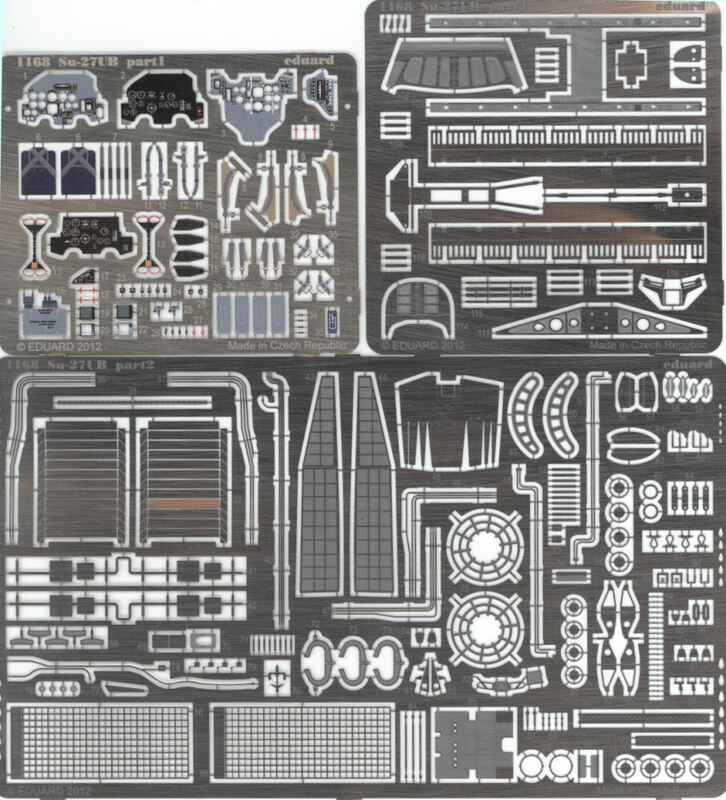 In many of the builds I've seen, many folks have opted for the Neomega resin cockpit for this kit but some haven't been happy with the detailing in that set either. The Wolfpack cockpit is a definite step up from the stock kit, but Eduard has raised that bar even higher with a nice mix of resin and color-printed photo-etched details to render these two cockpits. The wheel wells are simplistic and the weapons should probably be discarded. 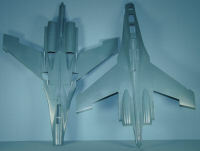 Despite those points, the model builds up into a really great looking two-seat Flanker. 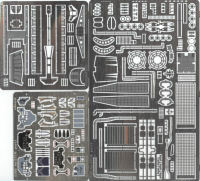 The number one complaint from builders has been the Academy cockpit, especially since it is one of the most visible aspects of the kit given the huge two-place pit and canopy. Eduard as completely replaced the stock kit cockpit and all it needs is a coat of Sukhoi gray in the cockpit ad some careful detail painting to really set this new feature off. 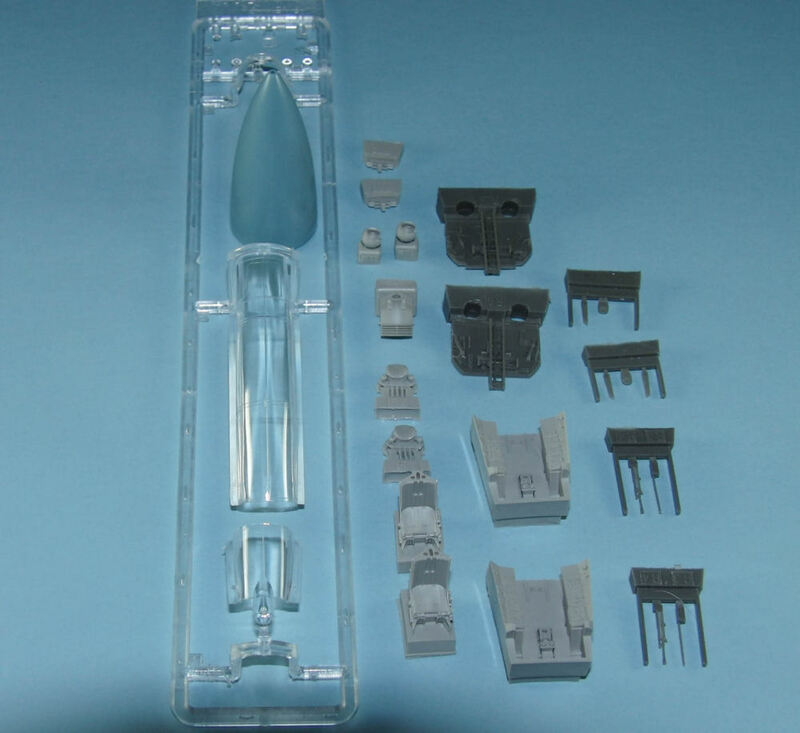 The stock kit's wheel wells are updated with photo-etched frames and plumbing to add the missing detail inside the main wells as well as the nosewheel well. One of the more unusual paradoxes are the kit intakes. Academy provided full-length intake trunks down to the engine compressor faces, but then blocked them off with plastic FOD guards. 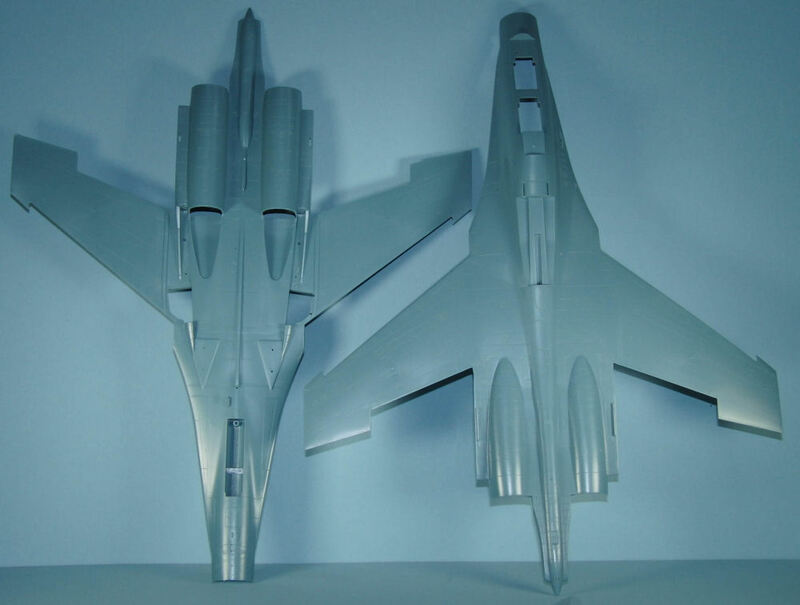 The MiG-29 has a similar arrangement, but its engines can breath at idle through louvers atop the leading edge chines ahead of the wings. 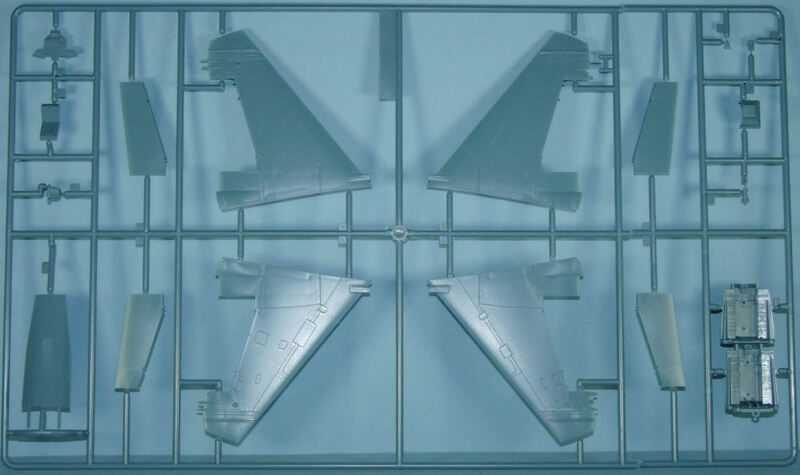 The Su-27 has its louvers on the bottom for auxiliary air intakes, but are useless to keep FOD out if they're so close to the ground. The guards on the Sukhoi are actually screens that allow air to feed the engines while the ventral louvers remain safely closed on the ground. Eduard has replaced the solid FOD shields with photo-etched screens. 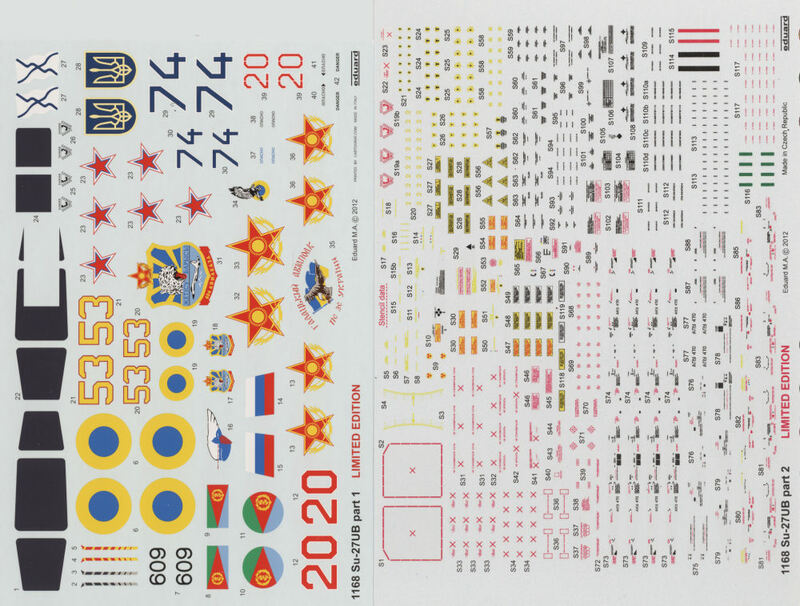 The Academy kit didn't do much for antennas in their release, so Eduard provides the IFF and RSBN (TACAN) antennas as photo-etch to provide the proper details missing on stock kits. The weapons are fortunately not needed in this build as the color schemes provided in this kit are trainers. 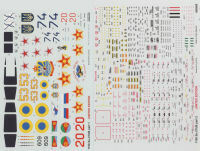 This kit provides complete markings for each example as well as a thorough set of maintenance stenciling for the airframe, pylons, and weapons. When this kit was first announced, I didn't think that Eduard could improve on the work that Wolfpack did on their kit but I was wrong. 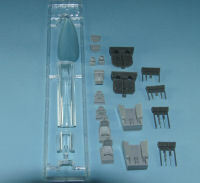 The cockpit in this kit is nicer with the color photo-etch added to the resin parts. While the FOD screens are as nice as the Wolfpack, the addition of the photo-eched auxiliary intake louvers will really add to the appearance of the finished kit (and you'll want to park this model on a mirror when you're finished!). 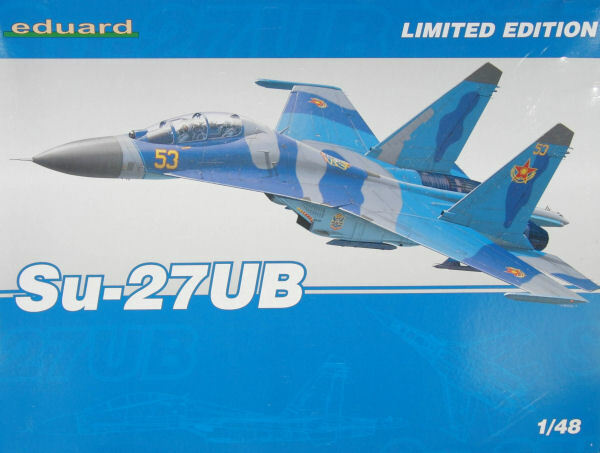 While you can argue the pros and cons of some of the other details in each version, this kit is definitely the best Su-27UB kit in this scale.